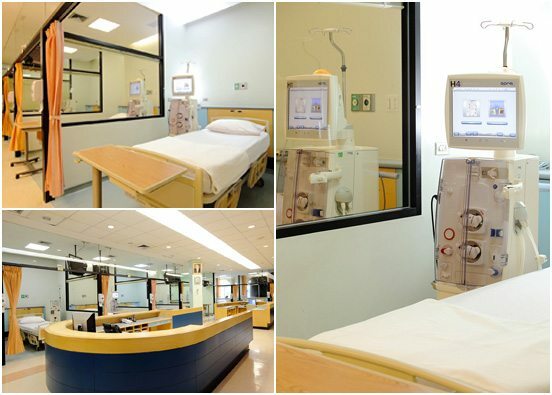 The Hemodialysis Department offers the same standard of high-quality care that has earned Samitivej Hospital international acclaim and the coveted JCI accreditation. Our comprehensive center offers kidney dialysis and treatments to locals, expatriates and international patients in Bangkok. We pride ourselves in hosting a staff of exceptionally trained and, in many cases, internationally experienced specialists. Our staff utilize the latest medical technologies to ensure that you and your loved ones receive the best possible care. Our department specializes in providing care for patients suffering from acute or chronic renal (kidney) failure. Our hemodialysis service, which uses state-of-the-art kidney machines, has been certified by The Royal College of Physicians of Thailand. We have priority access to healthy donated kidneys as a result of our membership with the Thai Red Cross Society’s Organ Donation Center. Our doctors and nurses always provide high quality and continuous care of our patients’ physical, mental and emotional needs during their time with us.